The visual novel Hakuoki: Kyoto Winds is available today for the PS Vita in North America as both a physical and digital release and is also compatible with PlayStation TV. Hakuoki: Kyoto Winds is a remastered telling of the beloved Hakuoki series that focuses on the story set in Kyoto. The young Chizuru, determined to find her father, will romance the famous samurai of Shinsengumi through a series of engaging stories and dramatic events. 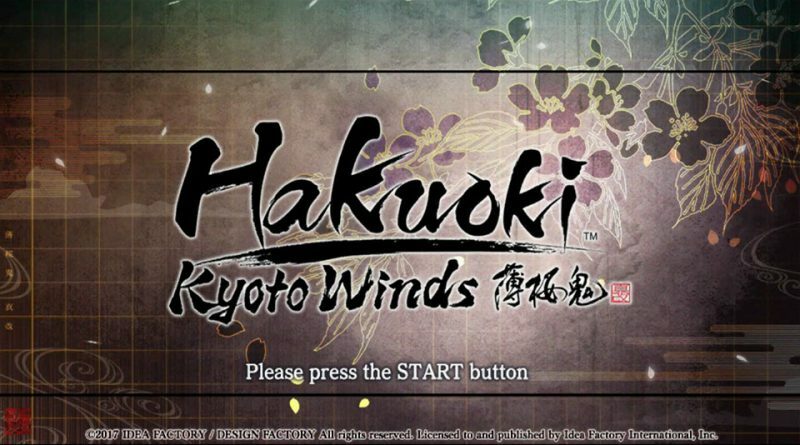 Hakuoki was first developed and released in 2008. New players, as well as players that have grown with the franchise, can discover the beauty and richness of its story with new, innovative features. Never-before-seen episodes and character routes have been added to the original version of the game, introducing more romanceable targets, new minor characters, and plenty of new paths to seek for yourself. Take a glimpse into the world of Hakuoki, as it was originally intended.